In 1930 Manoel died and Joseph Bento Fernandes (his 27-year-old son) took over Fernandes & Co. He showed his acumen in 1932 after a fire destroyed the Govenment rum bond; Joseph acquired the stocks of remaining rum at a good price, and since the paperwork stated the majority of the spirits were distilled in 1919 (a Trini named Aneil Lutchman wrote to me on FB that Angostura’s Master Blender told him in early 2018 there was some Caroni 1918 in there as well), he blended the lot and labelled it “Fernandes 1919 – Age Guaranteed!” It was the first vintage rum made in Trinidad to that time, and the forerunner of the most successful Fernandes brand for thirty years, with the name changed to “Fernandes Vat 19″ when the original 1919 stock ran out; the still-in-production Angostura 1919 8 YO is this rum’s direct descendant, and even though Caroni had once been part of the original Fernandes Vat 19 recipe, by now it is no longer part of the blend. 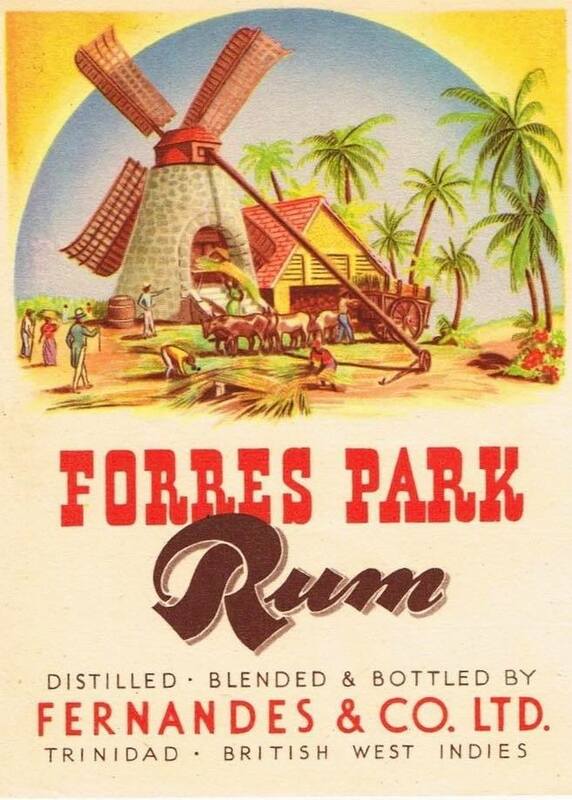 These ventures and blended rums were so successful that in 1933 the company acquired the Forres Park sugar estate and its derelict sugar factory, located in Claxton Bay, just north of San Fernando on the west coast (but don’t look for it, because it’s gone). This was becoming necessary because the increased popularity of their blends made supply of raw material from other sugar estates too expensive and often unreliable. Over the next decade JB rebuilt and tinkered with an old wooden still and increased sugar production; but it was the influx of Americans (and their money) during World War II that really grew the business. JB knew that in order to expand even further he had to move the focus of the company away from blending and bottling and into actual distillation – so in the late 1940s he acquired land in Morvant (a neighborhood just to theeast of Port-of-Spain) at a time when the Government of the day was starting to develop it into a sort of planned housing project, and he built a modern distillery there. As a bit of trivia, Angostura was a close neighbor, right over the road. 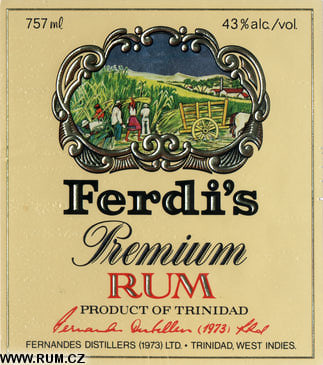 By the 1960s Fernandes & Co changed into Fernandes Distillers Ltd and ten years later had a massive 85% market share of the local market, as well as what were reputed to be the largest stocks of ageing rum in the Caribbean. They had also opened up a strong export market to both Europe and Asia. However, for reasons that are not entirely clear, the company was sold to Angostura holdings in 1973 and while it kept its name (Fernandes Distillers (1973) Ltd.), it was a subsidiary of Trinidad Distillers Ltd, Angostura’s holding company…and the French Savalle still they used was dissassembled once distilling operations were merged. All rums made by either company were then run off the same five-column still, and whatever work Bento had done on that long ago wooden still had been forgotten or abandoned. 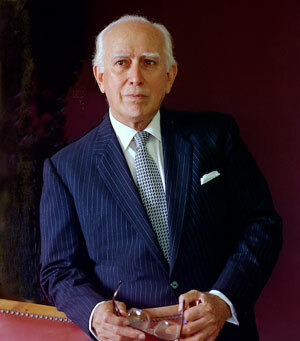 JB Fernandes himself went into real estate and other ventures including tourism, horse racing, art collecting and philanthropy, and died in 1992. 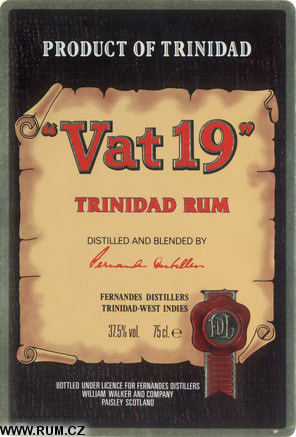 Few outside Trinidad (or rum history geeks) now remember his name, or remember his contribution to Trinindad rums; though of course old timers would recall the famous brands he pioneered and which Angostura still uses. Even the Fernandes name remains on some bottles I have found online (like the Black Label), though their availability is questionable…it’s possible that it is being gradually phased out and what is for sale is unsold stock from the 1990s. This is a small biography and sources are slim. But it does pull together all strands of information as are available, and I hope that if any Trinis or old salts have further information or stories to enhance it some more, please touch base with me. A short list of Fernandes Rums (not Angostura’s) are below. Photographs are almost nonexistent – have contacted the University of the West Indies for permission to use one of the Fernandes plant which they have.. In 1954 Fernandes was fed up with with the sugar workers trying to form an union and organize strikes, and went to England where he sold the sugar operations the Vesties organisation. 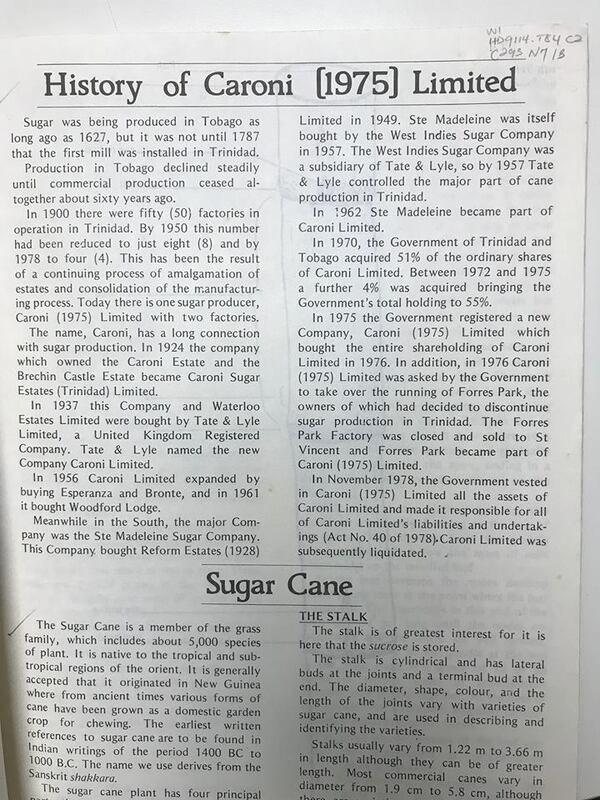 I was hired by the company as chemist and worked there till 1967.I was told that that the main reason for the purchase of the plantation was to start banana cultivation and access to the Trinidad harbour for their shipping company .